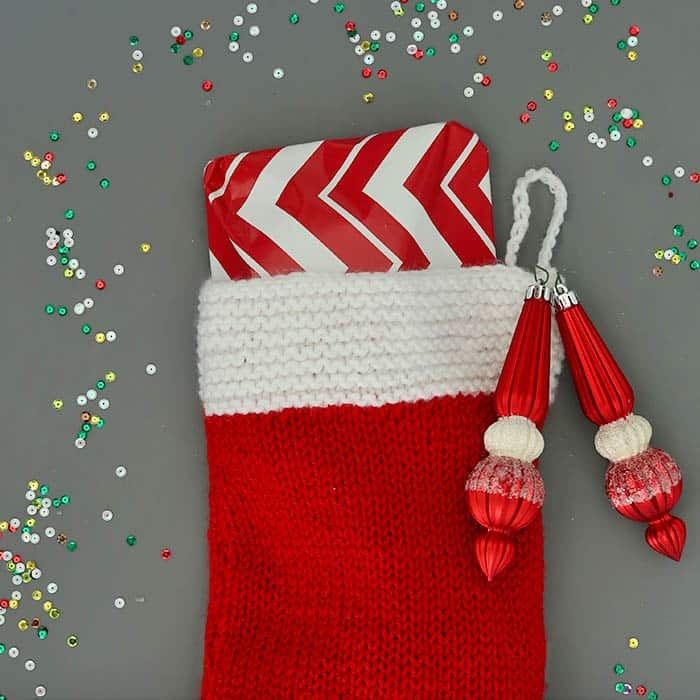 Christmas wouldn’t be complete without stockings! 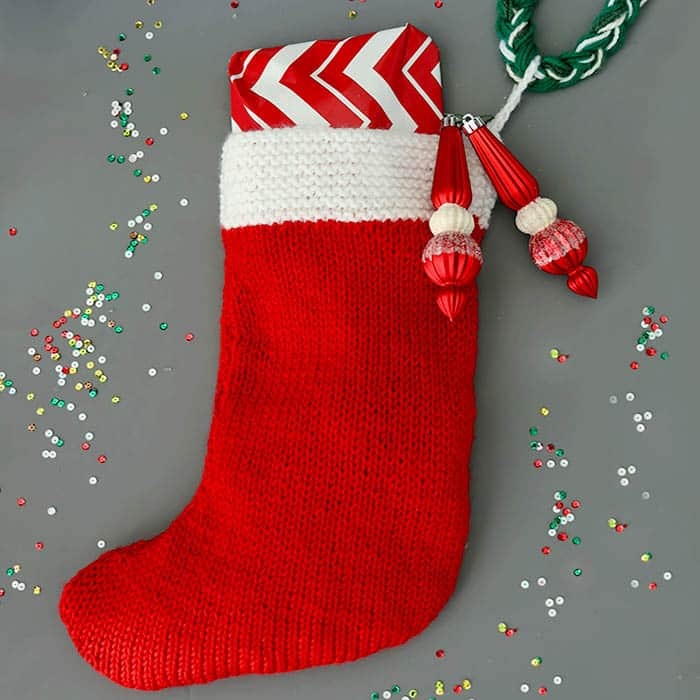 I found a bunch of Christmas Stocking knitting patterns online that used double pointed or circular needles, but very few using straight…so I decided to make one! This knitting pattern is relatively simple. If you can cast on extra stitches and decrease this will be a breeze! 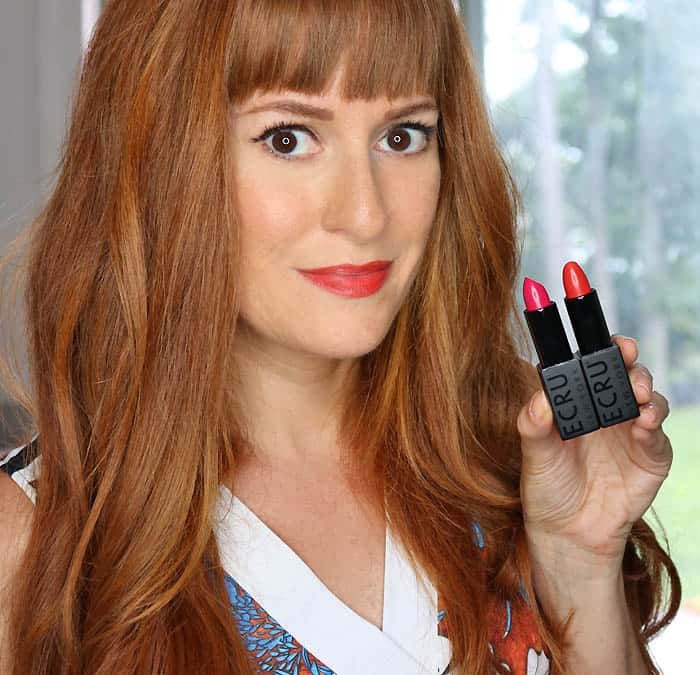 I decided to go with the classic red and white, but these could be great in other colors too. You can even embroider a simple design of the front using this easy technique. 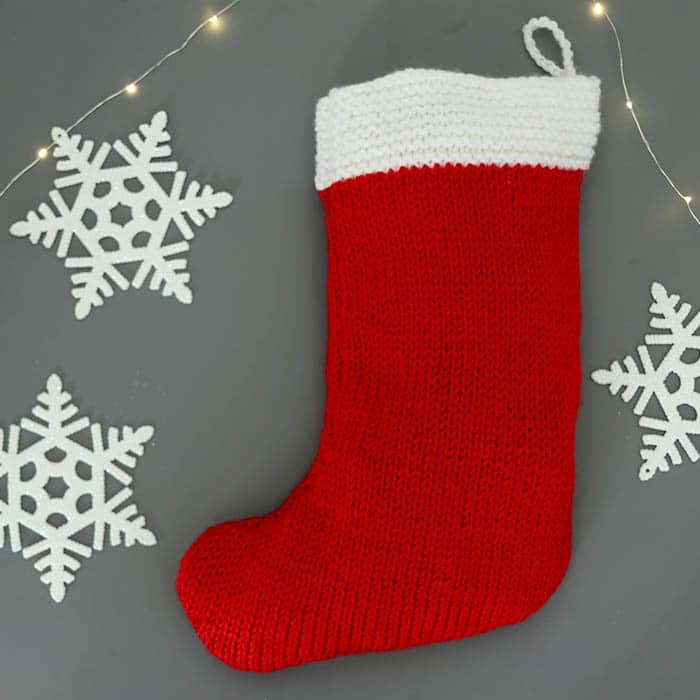 Want more Free Christmas Knitting Patterns? With the red yarn, Cast on 8 sts. 28th row: Purl. Place marker at end of last row. Knit in Stockinette Stitch until work from marker measures 8 inches. Switch to white Yarn and knit in Garter Stitch for 3 inches. Bind off. A cast on 8 sts. 28th row: Knit. Place marker at end of last row. Finishing: Sew side seams. Weave in ends.